Load up on the best of Rajasthani decor, traditional merchandise, toys and all sorts of handicrafts from the state. Plus, they rent out products if you need. 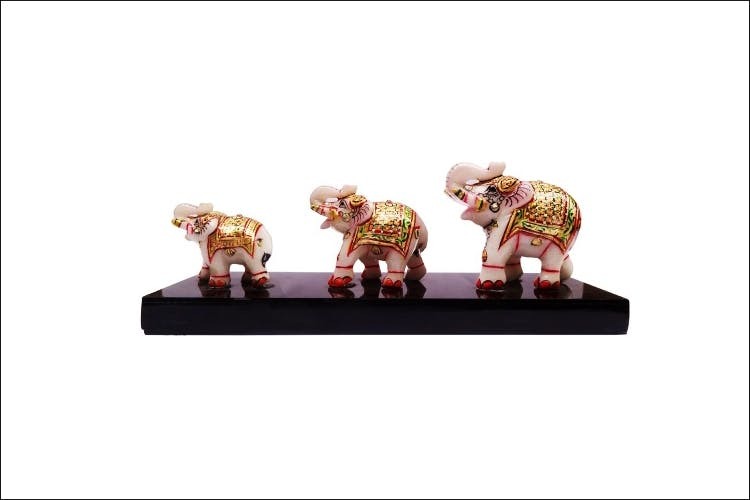 The Rajasthan Emporium And Handicrafts is a store that’s filled with all things colourful, quirky and traditional. From handcrafted toys, puppets and idols of deities to adorable ghaghra-choli sets for little girls, Rajasthani jewellery and home decor, you can really do up your entire home and wardrobe with stuff from here. For anyone who wants a slice of Rajasthan, right here in Bangalore. I specifically wanted some puppets for a event and after looking all over Bangalore, I found exactly what I wanted at this place. It’s like having Rajasthan in Bangalore. That too right on MG Road! It’s located right in the heart of Bangalore, on M.G road. And don’t stay away thinking it’s a government enterprise and therefore expensive; it’s a family owned private showroom and pretty reasonable.